Sad little defective =( He suffers from congenital wiggerism. Of course they are. Amerikwa is the world's largest, free-range insane asylum. Now, Alex Jones career depends on embracing every conspiratorial possibility the interwebs can imagine. But for everyone else, may I recommend not leaping at every scrap of nutjob-bait dangled in front of you? For, as discussed here, if the Mossad is stealing your shoes, you're not doing yourself any favors by going online and complaining about it. Western weakness confirmed. Proceed with invasion. As I warned here, the burkini ban was not a positive development. It was a completely useless gesture, but having been reversed, it is now a damaging one as well. It proves the French can't even preserve their culture, let alone their race. What?!? MultiKulturalism and anti-White bias are still universal in the 'Kwa?!? Impossible! The Quadroon Streicher declared the Alt-Right has made it! Enough sarcasm - remember, your White Whateverist "leaders" don't have jobs. That's why they can publicly say racist things. (That, and because most of them are controlled opposition). If you have a job, do not follow their example. By the way, guess what the former spokeswoman is saying about this now? Concerns about White genocide? That's just a thing of her past. 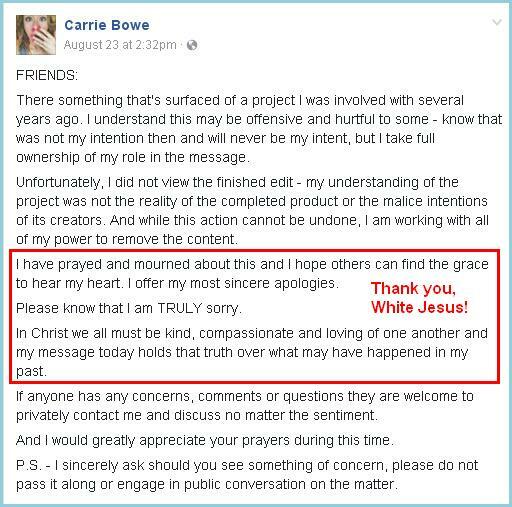 This is why White Christians cannot be trusted as White Nationalists, because they will always choose their Jew on a Stick over their race. They have a built-in escape for when the going gets rough. 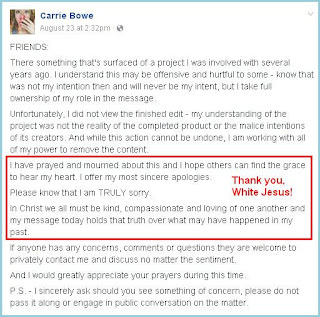 Even White Identity types can simply recant and say they now realize Jebus is for everyone, not just Chalkies. For the White race to survive, it must eliminate MultiKulturalism and its precursor, Christinsanity.